This will prevent Tony | Outwork from sending you messages, friend request or from viewing your profile. They will not be notified. Comments on discussion boards from them will be hidden by default. Sign in to Goodreads to learn more about Tony | Outwork. This is one of the most practical health and fitness books that I have ever read. It addresses all of the fundamental laws for both fat loss and muscle building and often refers to each aspect of nutrition and training with a slant towards body recom This is one of the most practical health and fitness books that I have ever read. It addresses all of the fundamental laws for both fat loss and muscle building and often refers to each aspect of nutrition and training with a slant towards body recomposition: losing fat and building muscle. Anyone who has a body worth admiring understands this principle: you have to be driven to make progress each and every day using strategies that are proven and that work for them. The book is well organized and builds on each chapter, leading to a complete training plan of 1-2 muscle groups per day, 4-6 reps for nearly all exercises, 9-12 heavy sets per workout, with 3-4 minutes rest in between sets with around 60 minutes of total training time. And how about cardio? The best kind is High-Intensity cardio and it should be done separately from resistance training in order to avoid sending “mixed signals” to the muscles. We’d love your help. Let us know what’s wrong with this preview of Bigger Leaner Stronger by Michael Matthews. Time is our most precious resource. In regards to work, it is especially crucial for the business executive, entrepreneur, or aspiring ladder climber. It has to be maximized, as opposed to what most people do, which is to “kill” time. Time management Time is our most precious resource. In regards to work, it is especially crucial for the business executive, entrepreneur, or aspiring ladder climber. It has to be maximized, as opposed to what most people do, which is to “kill” time. Time management is a business skill that can be learned and perfected. If you understand the psychology of time management and the law of control; you feel good about yourself to the degree in which you feel in control of your life. Just like the Stoics, aim to be a master of your destiny. Nowadays, time is mostly left up to each individual to spend as they like. The comforting and easy way out is Netflix and Instagram and Pinterest. Instead, repeat the mantra below. We’d love your help. Let us know what’s wrong with this preview of Time Management by Brian Tracy. I read this initially in 2017, but I knew instantly that I was going to read it again (and possibly again). I love the idea of stoicism and have since been slowly adopting it as a practical philosophy. Through this, I have learned to conduct myself i I read this initially in 2017, but I knew instantly that I was going to read it again (and possibly again). I love the idea of stoicism and have since been slowly adopting it as a practical philosophy. Through this, I have learned to conduct myself in a certain way that is more conducive to long-term success. The Stoics, as history knows them are long gone, yet, their words carry on today, in those athletes, warriors, and entrepreneurs that choose to fight against the onslaught of today’s destructive societal traps. Their legacy is ours to embrace and their modus operandi is ours to exploit: their genius was unity of purpose, deafness to doubt, and the desire to stay at it. The premise of the book comes from this quote and Holiday's favorite historical reference: "The mind adapts and converts to its own purposes the obstacle to our acting. The impediment to action advances action. What stands in the way becomes the way." We’d love your help. Let us know what’s wrong with this preview of Sometimes You Win--Sometimes You Learn by John C. Maxwell. From good to great to unstoppable. Grover creates a hierarchy of performers: most are coolers, few are closers, but the best in the world are cleaners. As MJ’s trainer, he realized that it takes a different mindset about life and winning to become th From good to great to unstoppable. Grover creates a hierarchy of performers: most are coolers, few are closers, but the best in the world are cleaners. As MJ’s trainer, he realized that it takes a different mindset about life and winning to become the absolute best. He saw the same traits in Kobe Bryant and Dwayne Wade, unstoppable competitors that craved the result of winning more than anything or anyone else. They were ruthless in their pursuit: To be the best, whether in sports or business or any other aspect of life, it’s never enough to just get to the top; you have to stay there, and then you have to climb higher, because there’s always someone right behind you trying to catch up. We’d love your help. Let us know what’s wrong with this preview of Relentless by Tim S. Grover. 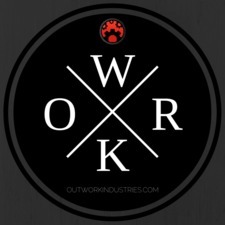 Tony | Outwork has read 0 of 50 books. Take a look at Tony | Outwork’s Year in Books. The good, the bad, the long, the short—it’s all here.